Otter Lake makes your trip to reach us as easy as a float on the river. The park is located in the Pocono Mountains, just ten (10) miles from the Delaware Water Gap, Interstate 80, and Stroudsburg. We offer easy access from both Interstate highways 80 and 84, yet all of the seclusion and quiet of a remote camping retreat. Probably the best part of camping at Otter Lake is our direct proximity to so many of the most popular Pocono attractions, many only minutes away! Use this interactive Google Map to generate travel directions from any point of origin ... or to find your way from Otter Lake to another destination. From Route 80: Take Route 209 North to the roundabout, take the second exit (Seven Bridges Road) to the traffic light. Make a right at the light onto Route 209 North. At the next light, make a left onto Route 402 North. In 100 feet, bear left onto Marshalls Creek Road. Otter Lake is 7 miles from there. From Route 84: Take the Milford exit to Route 6 West. Take Route 209 South to Marshalls Creek. Make a right onto Route 402 North. In 100 feet, bear left onto Marshalls Creek Road. Otter Lake is 7 miles from there. Enjoy a mountain full of family rides, thrill rides, tube slides, mat slides, a flowrider, a bungee jump, climbing wall, and a new freefall and zip-flyer. Are you looking for roller coasters that will make your head spin, heart throb and hair stand straight up? Then Dorney Park is the place for you! 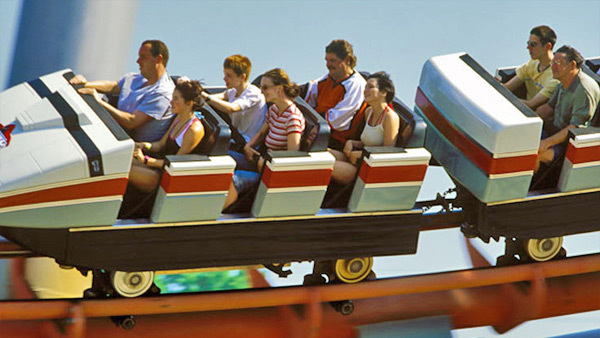 In addition to being one of the world’s leading roller coaster theme parks, Dorney Park features a full range of family rides and thrill rides. It is also the home of Camp Snoopy, Wildwater Kingdom, and the new Dinosaurs Alive! The National Canal Museum is the only museum in the country dedicated to telling the story of America’s historic towpath canals. The museum features hands-on exhibits that educate and entertain parents and children alike. Through dynamic exhibits and education programs, the Emrick Technology Center explores the Lehigh Valley’s rich industrial heritage. Visitors will see the 26-ton stationary steam engine once used to power the Buehler Furniture Factory; learn the history of the paper drinking cup, the Dixie Cup Company and its founder, Hugh Moore; and view a World War I cannon produced by Bethlehem Steel. 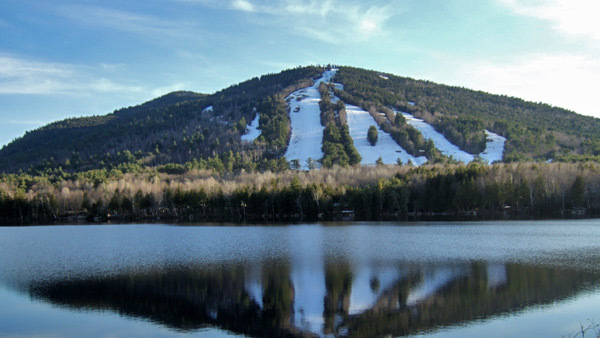 Skiing on 23 trails & slopes in the winter, and a full schedule of festivals and events in the summer and fall. Events include the Pocono Chicken Wing-Off, the Shawnee Celtic Festival, the Poconos Wurst Festival, Arts on the Mountain, the Pocono Garlic Festival, and the Rodeo and Chili Cook-Off. 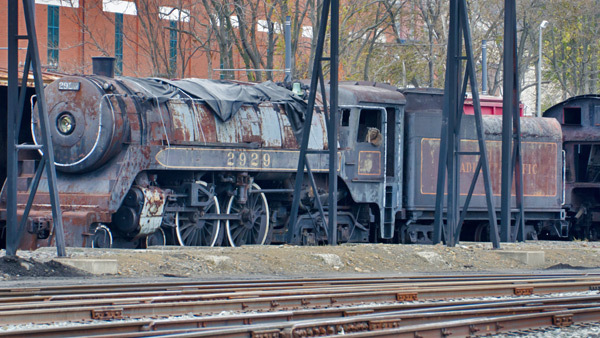 Steam locomotives excite the senses and Steamtown keeps their stories alive! Feel the heat from the firebox. Hear the bell and whistle. Smell the hot steam and oil. Feel the ground vibrate under your feet. See the one ton drive rods turn the wheels. Hear the chuff-chuff of the smokestack. Today, you can relive the era of steam as the engines come back to life. The cinders and grease, the oil and steam, the people and stories of railroading have returned. At The Crayola Experience™, you’ll be immersed in color and creativity. It is a place where there’s no limitation to creativity and imagination. You can color, draw, paint and create with the latest Crayola products without the worry of cleanup afterward. Each creative space invites you to play and explore while learning and having lots and lots of fun. 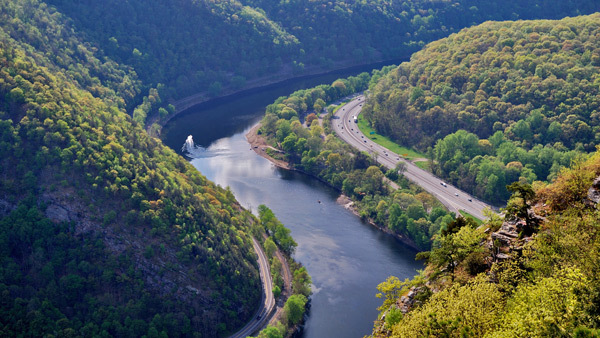 Adventure Sports specializes in river trips through the spectacular Delaware Water Gap National Recreation Area. The crystal clear water and many islands and beaches offer unlimited opportunities for swimming, snorkeling, fishing, hiking and picnicking. The company offers several different unguided trips, that vary in distance and can last from two hours to overnight multi-day camping trips. Rates include canoes, kayaks or rafts, life jackets, paddles, shuttle transportation, river maps, trip planning, and orientation. The “Niagara of Pennsylvania”, Bushkill Falls is among the Keystone State’s most famous scenic attractions. 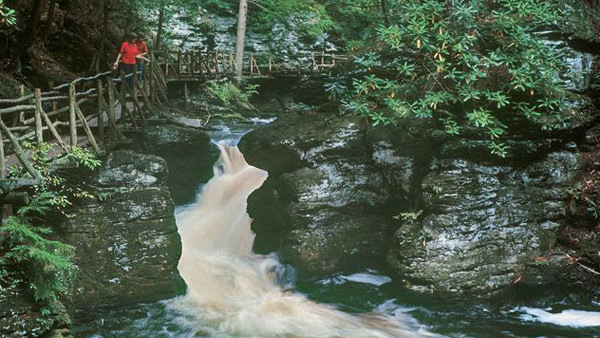 This unique series of eight waterfalls, nestled deep in the wooded Pocono Mountains, is accessible through an excellent network of hiking trails and bridges which afford fabulous views of the falls and the surrounding forest. Paddlers slip down the river between low forested mountains, anglers wade the trout streams, hikers scan the valley from the ridge or peer into the 1000-foot-deep Water Gap. The valley has known human hand and voice for 10,000 years. Floodplains nourished the Native farmer; waterfalls drew the Victorian vacationer. Today, a 70,000-acre park welcomes those who seek the outdoors close to home. 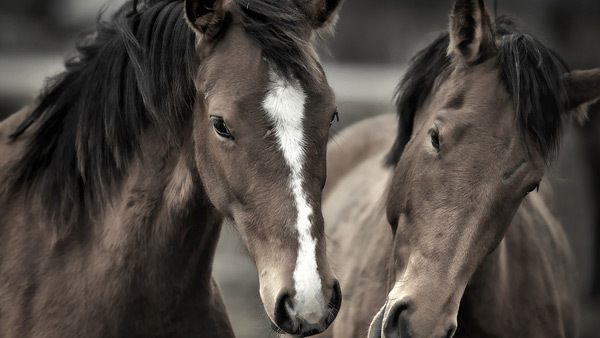 Enjoy an easy paced, walk and trot Western ride through a mountain creek and wooded trails. Wildlife roams freely throughout the trail system, and riders often spot deer, wild turkey, and hawks while riding. Rides are designed for the beginner or occasional rider, with no prior experience needed – just a sense of adventure! Courteous, professional, radio equipped guides accompany every ride, and helmets are available free of charge. The Mount Airy Casino includes a 65,144 square foot gaming floor with over 2,000 of slots. There is a game for every type of player, from penny machines to high limits. You will also find a full range of table games, including blackjack, craps, poker, baccarat, and roulette. The Shawnee Playhouse is the home of professional quality live theatre in the Poconos, offering a variety of high quality productions and affordable entertainment year-round. Shop 100 outlet stores in one location. Find impressive savings at Adidas, Ann Taylor, Banana Republic, BCBG Max Azria, Calvin Klein, Coach, Chico's, Cole Haan, DKNY, Gap Outlet, Guess, J.Crew, Kenneth Cole, Michael Kors, Nautica, Nike, Polo Ralph Lauren, Reebok, Under Armour and more. The Olde Engine Works is located in the historic Stroudsburg Engine Works factory, now home to over 125 friendly dealers displaying a wide variety of unique items. Prices range from less than a dollar to many thousands, and the dealers are always on hand to answer questions and help you in any way possible. The inventory changes daily. Everything you need to know about the Pocono Mountains, four seasons of endless fun and a tremendous variety of diversions, including family attractions, outdoor adventures, and more. The Poconos are famous for natural scenic beauty, 150 lakes including Lake Wallenpaupack, and the quaint, historical towns in the four county area.